Hide yo' kids, hide yo' wife, hide yo' dog, and grab the Holy Water, because the Evil Empire is in Boston through the weekend. Yes, it was bound to happen. The Yanks are in town tonight through Sunday for a three-game stand against our beloved Red Sox. Why am I not going nuts and referring to them as "the first place Yankees" like every other sports writer and their mother? Because it's only May and I don't really care. Masterson is 2-0, with a 5.16 ERA, but didn't face the Yankees in the last series in New York at the start of the season. Before we start getting too cocky here and overdo it on the SaFAThia jokes, we have to remember that Masterson has allowed 12 runs and 15 hits over 8 1/3 innings, and lost his last two starts against the Yanks. 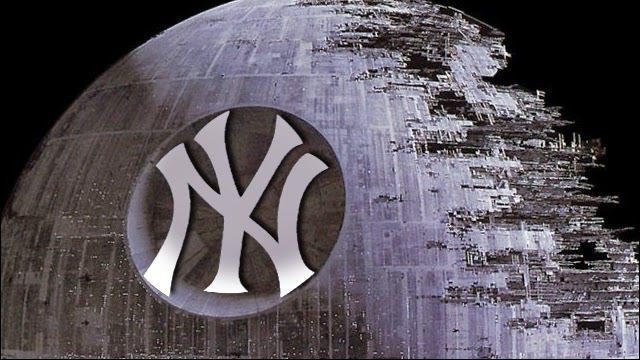 The return of the Evil Empire to the beautiful city of Boston also means that it is the return of A-Fraud, Ellsbury, and Drew. I think we can all agree that Ellsbury and Drew, although leaving a bad taste in our mouths, are not as bad as the wretching, hot, ball of bile that A-Rod's presence churns up from our guts. What makes it even more sickening is that he is one homerun shy of tying Willie Mays for fourth on the all-time homerun list. Willie did it au naturale. A-Fraud had a little help. Since 2010, Rodriguez is 1-7 when facing Masterson, and has also gone 0-9 and struck out four times in his last two games, so that should leave all of Red Sox Nation knowing that there really is such a thing as karma. First pitch is at 7:10 PM and you can catch it on NESN. With the Sox currently hitting .284 with 11 home runs and averaging 6.0 runs over the last six games, let's hope that Pedroia, Ortiz, and Ramirez's bats stay hot for our good-guys' three-game triumph over evil.